TEMS PAID OVER THE PHONE OR ONLINE MUST BE PICKED UP DURING THE SAME WEEK AS PAID. WE ARE UNABLE TO HOLD FOR EXTENDED PERIODS. CALL IF YOU NEED TO MAKE SPECIAL ARRANGEMENTS. INVOICES CAN BE PAID ONLINE, OVER THE PHONE AND/OR PERSON - ITEMS NOT PAID ON THE PICK UP DATE WILL BE MARKED AS NO SHOWS - NO EXCEPTIONS WILL BE MADE IF YOU NEED SHIPPING - CALL PRIOR TO PAYING ONLINE ITEMS NOT PICKED UP OR PAID ONLINE/PHONE WILL ON REMOVAL DAY WILL BE MARKED AS NO SHOW This affiliate accepts Cash and Visa or Master Card Credit/Debit Cards only.Checks are not accepted. This auction is contracted and managed by KX Real Deals. By placing a bid on this auction you are agreeing to the auction specific terms listed below in addition to K-BID user terms. 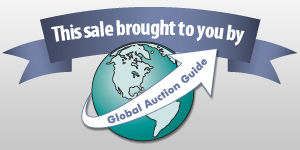 For auctions contracted and managed by an Independent Affiliate, K-BID Online, Inc. is acting as a venue only and will not be involved in any disputes or issues regarding this auction. Everything is sold “as is, where is” with no guarantees or warranties. You are responsible for inspecting items prior to purchase. Announcement:Information contained herein is presented on behalf of the seller. KX Real Deals , agent for the seller, cannot guarantee the information to be correct or assume the liabilities for errors and omissions. All lines drawn on maps are approximate. Buyers should verify the information to their own satisfaction. Any announcements made from the auction block on day of auction will take precedence over any matter of print and will be final.